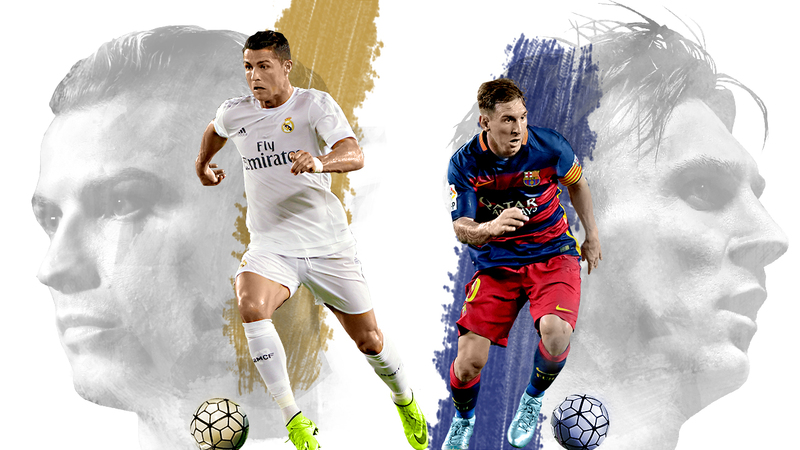 Each week, ESPN FC forecasts and reviews the scoring battle between Lionel Messi and Cristiano Ronaldo in La Liga. Cristiano Ronaldo has reached yet another personal landmark and, in doing so, increased his goals lead over Lionel Messi to eight. Ronaldo became the first player to score 30 goals in six straight Spanish league seasons when he netted against Eibar in Real Madrid's 4-0 win. In all, the Portuguese took seven shots and got three on target. Messi also had seven shots but got only two on goal and was unable to inspire Barcelona, who lost 1-0 at Real Sociedad. The Argentine remains at 499 goals for club and country in his career. Cristiano Ronaldo has scored 11 goals in his past nine league games. Rob Train on Ronaldo: 7/10 -- This was not a vintage performance from the forward, epitomised by a shot blasted into the top tier at the end of the game. Ronaldo was full of running for the team and assisted Lucas Vazquez and Jese, then got on the score sheet himself with a close-range drive. The Portuguese missed an absolute sitter in the second half, somehow contriving to turn the ball wide from about 2 yards with the goal at his mercy. Samuel Marsden on Messi: 6/10 -- Had the majority of his side's chances. Blazed over minutes after the game's only goal and wasted a free kick in the 22nd minute. Produced a great pass for Neymar in the buildup to Arda Turan's chance, though he struggled to be creative against a well-drilled La Real defence. More chances came his way late on, but he was foiled by Geronimo Rulli every time. Lionel Messi has not scored in La Liga since March 12. After midweek Champions League action, Ronaldo and Real Madrid visit Getafe on Saturday. The following day, Messi and Barcelona host Valencia.